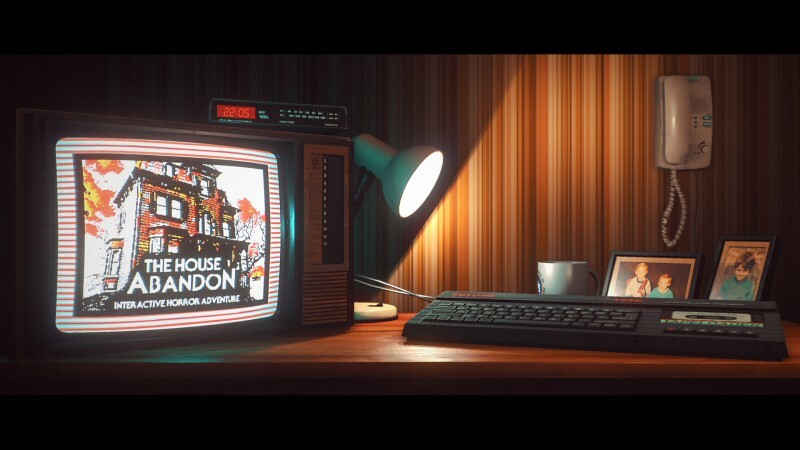 Stories Untold appears to be a quiet and inconspicuous game at first. This digital anthology of horror stories is essentially a series of escape-the-room puzzles that take place in different universes, but the tales have gripping and emotional threads to connect them. The unique structure is an effective vehicle to deliver something more nuanced than bump-in-the-night thrills; you confront scenes of death, guilt, and heartbreak. However, even on a moment-by-moment level, both the scares and gameplay are satisfying. Stories Untold is divided into four sections, and each has its own familiar theme and focus. 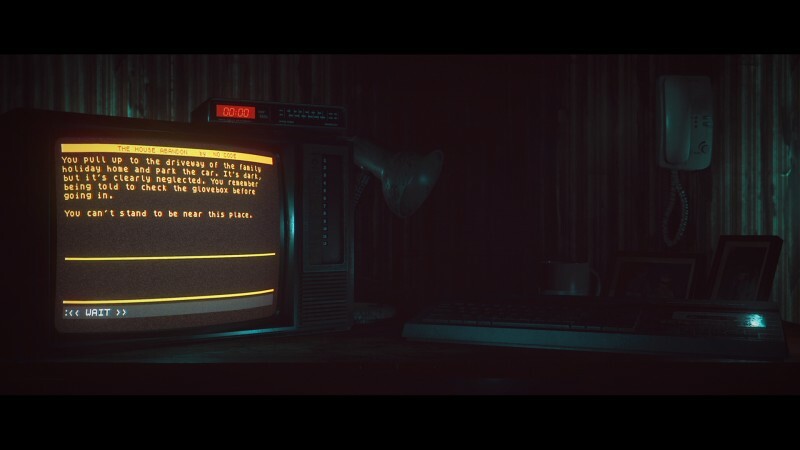 The first level has you sitting at a desk in a suburban home on a dark night, playing a text adventure on a retro PC while the environment changes to whatever actions happen in the text adventure. Examining photos in the text adventure might lead to the family photos on your desk becoming disfigured. 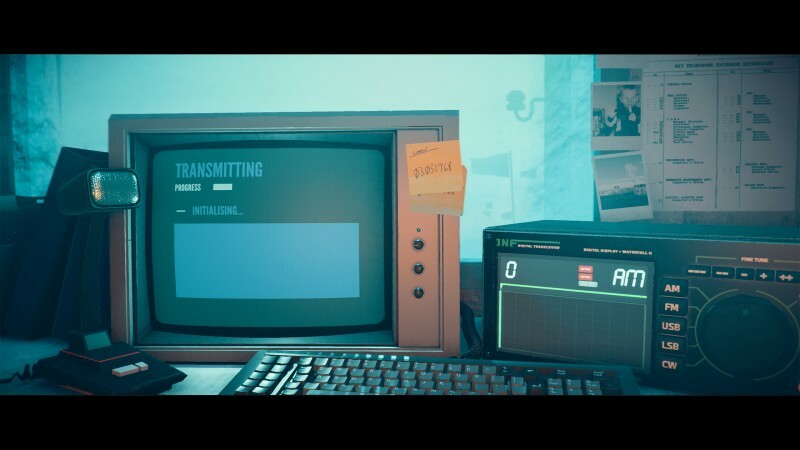 Answering the phone in the adventure might result in the phone in front of your desk ringing. This sort of thing might sound kind of hokey, but it successfully nails the haunted-house atmosphere it’s going for. The music is just right, the text adventure’s writing is tight, and everything leads to compelling places in both the individual story and the larger picture. 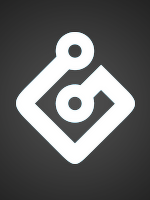 Later levels have you doing more sophisticated, challenging puzzles. 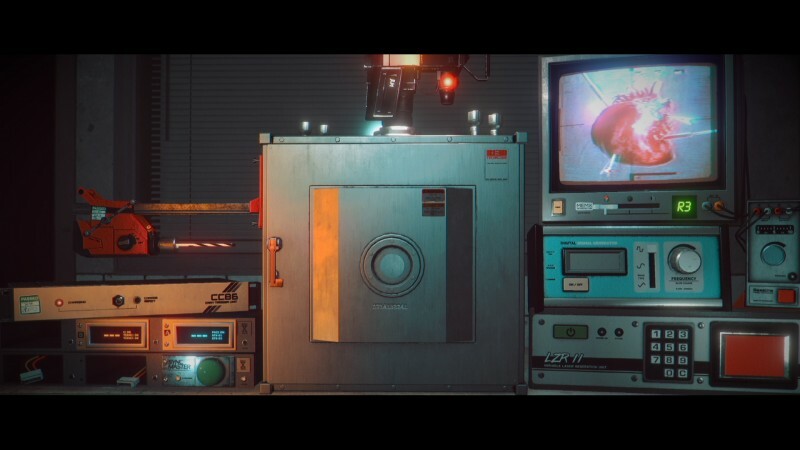 The second one has you following a manual to use a series of machines, including a power drill and an X-ray, to help scientists understand a mysterious object locked away in a vault. The sheer number of things you can interact with in this level is initially overwhelming, especially when you take a look at the manual. However, Stories Untold succeeds because it does a solid job of giving you enough audio cues and textual hints to lead you down the right path without holding your hand. Many of the solutions are obscure and require a keen eye and patience. The third story is particularly frustrating, requiring you to decode messages with Morse code and instructions hidden in microfilm. Some puzzles are more annoying than others, with vital info or mechanics being hidden away in the background of each level. That being said, every puzzle I solved left me feeling satisfied and a little proud, even if its logic was convoluted. The atmosphere of each level is also impressive, venturing into surprising territory with varied, genre-shifting gameplay; the first game’s haunted-house tricks, for example, don’t become the crux of the whole anthology. In one puzzle, you are sitting at a desk, examining minute details for the solution to your current obstacle. In the next, you are navigating a creepy, snowy labyrinth in first-person. Even when I was confronted by a puzzle that seemed impossible to solve, I kept on going because I wanted to see what else Stories Untold would throw at me next, and the answer was that it had something new and interesting in its pocket every step of the way, especially when it comes to the finale. The themes and plot points that run across the anthology are united in the final segment in a way that feels satisfying and surprising. It’s a dark, twisted ending that packs some serious emotional power; I don’t want to spoil anything, but I can say that the payoff is more than worth the effort. 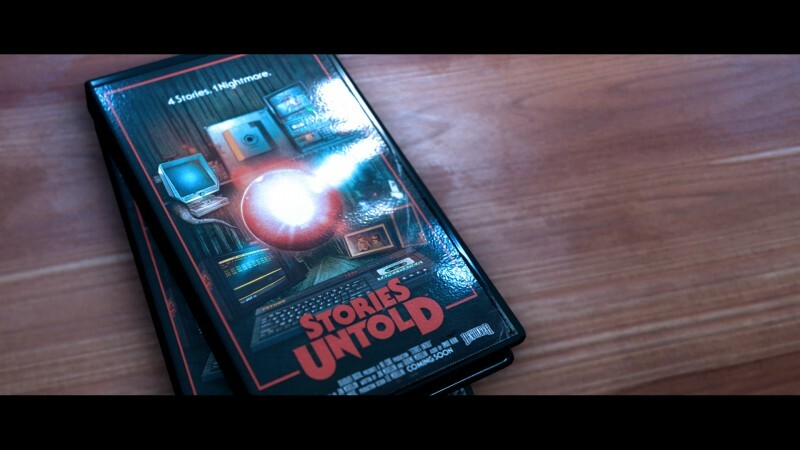 Stories Untold is a unique four-hour experience that both horror fans and those who love to dissect head-scratching enigmas should check out. Though a number of frustrating puzzles may prove too tiresome for many, those who stick with it will find themselves rewarded with a treasure trove of gruesome and morbid delights. For those willing to meet the challenge, Stories Untold will richly reward them with horror and heartfelt storytelling.